Banker 11 Light Index Binary Options System Trade one hour a day. Wake up late. Come into the markets near noon. Trade for an hour. Go back to bed or whatever other fun thing you?d like to do. Really. Running Approximately $3,237 Per Month Systems Results Cash Flow in trading just one hour a day based off $500 position sizes and then grow that to a potential system result of $6,475.00 per month at $1,000 position sizes Trades the S&P 500 Index. ...... Expandable through position size growth and over multiple accounts. We developed Banker 11 Index Binary Options Trading System is a very easy entry and encouraging way to start trading in general but particularly binary options. It shouldn?t take you much more than an hour or two to learn the system and practice it some. You could be well on your way soon to actually finally having some success in trading. Remarkable thing about the Banker 11 Binary Options Trading System Light is that the system needs to be trade one hour a day. Most people have many things to do in life. And others enjoy their freedom and do not want to watch computer screen all day long. Just imagine him betray one hour day with potential consistent performance over time. Then in combination with a very good money management system, expand that trading system to potential considerable cash flow. That?s the concept with the system. Internet categorizing/filter system that compiles web-inks into HTML pages. Qweas is providing links to Banker 11 Light Index Binary Options System 1 as a courtesy, and makes no representations regarding Banker 11 Light Index Binary Options System or any other applications or any information related thereto. Any questions, complaints or claims regarding this application Banker 11 Light Index Binary Options System 1 must be directed to the appropriate software vendor. 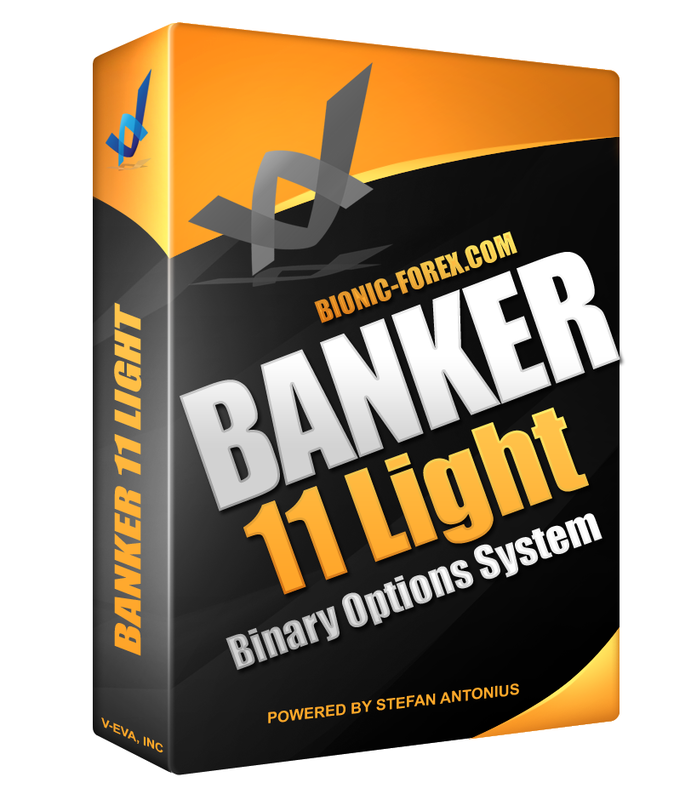 You may click the publisher link of Banker 11 Light Index Binary Options System on the top of this page to get more details about the vendor.